Summer in the City gives everyone an opportunity to explore new places while sharing thoughts and ideas with like-minded planners from all over southern California. APA Los Angeles is proud to present the City of San Fernando as its third tour of the 2018 Summer in the City series. Dubbed the “First City of the Valley”, the City of San Fernando has become the focal point for new urban planning concepts while looking to maintain its small town charm. The City of San Fernando is a community of attractive contrasts. What was once a land of farms and ranches adjoining the Mission de San Fernando Rey is now a vibrant center of manufacturing and commerce. San Fernando enjoys a sweeping view of the panoramic San Gabriel foothills and a sense of privacy; yet it is only minutes from downtown Los Angeles and only minutes away from other centers of commercial activity, thanks to a network of freeways and nearby airports. The City combines modern metropolitan conveniences with a close-knit community of friendly, civic-minded residents. We will be riding in the City of San Fernando shuttle for the majority of the time but we will take some time in exploring key sites throughout the city. 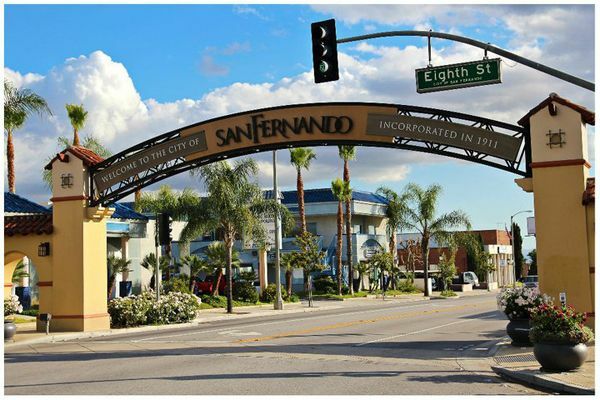 These sites include: the San Fernando Mall area, future transit station project sites, the library plaza, the San Fernando Swap Meet, and the San Fernando Brewing Company. The tour will conclude at Truman Tavern which offers a delicious variety of dishes and drinks. Please come dressed in comfortable attire, a water bottle, comfortable walking shoes and some cash for entrance to the City of San Fernando Swap Meet. We will be walking for approximately 1 mile.